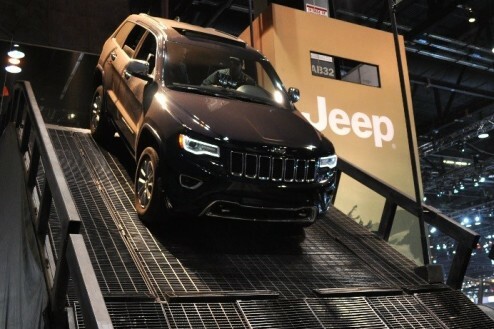 Chrysler Group LLC kicks off Georgia’s spring season with the launch of Camp Jeep and its newest models at the 32nd annual Atlanta International Motor Show. Show attendees will be inspired by Camp Jeep’s distinctive off-road experience, in addition to the exciting lineup of new vehicles found in this year’s Jeep, Chrysler, Ram, Dodge, SRT and FIAT brand displays. The auto show runs 26-30 March at Georgia World Congress Center in Atlanta. David Englen, Director – Southeast Business Center at Chrysler Group LLC said after a tough Atlanta winter, Camp Jeep is just what the car doctor ordered for pure off-road fun. Camp Jeep provides consumers a chance to experience the extreme off-road capabilities of Jeep vehicles and is guaranteed to thrill every Camp Jeep rider. Besides Camp Jeep, other show highlights include Atlanta debut of the all-new 2014 Jeep Cherokee, the all-new 2015 Chrysler 200 mid-size sedan, the 2014 SRT Viper GTS, the 2014 Fiat 500L and the 2014 Ram 1500 EcoDiesel. 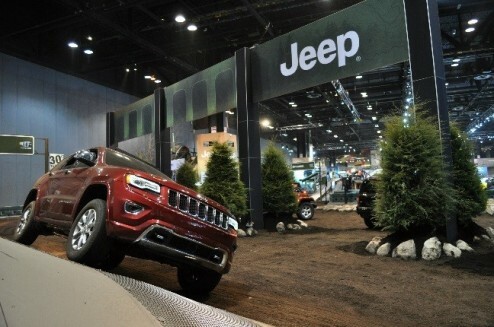 Outside the motor show, and next to Georgia Dome, consumers will enjoy the Chrysler Drive ride-and-drive experience featuring vehicles from Jeep, Chrysler, Ram, FIAT and Dodge brands. Visitors to the Chrysler Drive and Camp Jeep can enter the 2014 National Giveaway for a chance to win $45,000 toward the purchase of any eligible Chrysler Group vehicle. 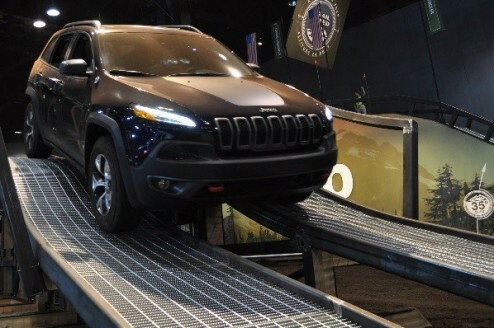 Auto show attendees are invited to experience the Atlanta debut of Camp Jeep, the trail-rated test track featuring the all-new 2014 Jeep Cherokee. The fan-favorite track has an all-new obstacle for 2014: the Trail Rated Pass! 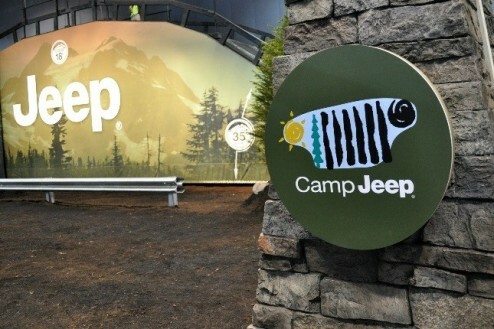 Camp Jeep is an awe-inspiring 5-minute interactive adventure zone, which pairs professional 4×4 drivers with riders. 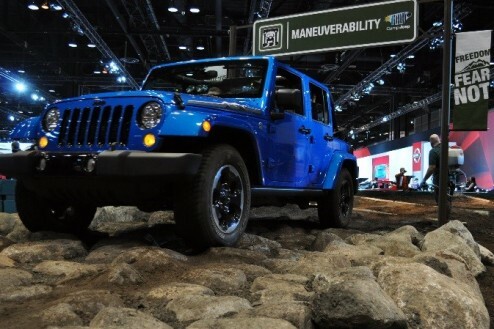 Passengers can experience the full capabilities of Jeep models, including the Jeep Wrangler Unlimited, Jeep Grand Cherokee and Jeep Cherokee, as drivers demonstrate how to drive safely on off-road terrain. Guests sit right beside the professional driver and climb the striking 14-foot high, 35-degree Jeep Mountain, the highlight of the ride and display. A DJ will be onsite during the Camp Jeep experience, adding a music element to the space. Exquisite style meets exceptional performance in the all-new 2015 Chrysler 200. It leapfrogs expectations for a midsize vehicle with a beautifully designed and thoughtful interior and an elegant exterior design, offering an outstanding driving experience complements of a segment-first 9-speed automatic gearbox and an all-new chassis. The 2015 Chrysler 200 is designed, engineered and built with pride in Michigan. Dodge will be making a splash in Atlanta with the popular throw-back 2014 Dodge Challenger R/T Shaker, which features distinctive throw-back muscle car cues that link directly to the Dodge brand’s performance legacy. It continues the Dodge tradition of an engine-mounted hood scoop, which “shakes” with the engine’s movement. Among the many Ram trucks on display will be the 28 mpg 2014 Ram 1500 EcoDiesel, named Motor Trend “Truck of the Year.” For those who need even bigger trucks, the 2014 Ram 2500 with an all-new 6.4 liter HEMI V8 will be on the show floor along with the Ram ProMaster, the latest entry into the full-size cargo van segment from Ram Truck brand. FIAT brand display will include 2014 Fiat 500L, the focus of new global advertising campaign “Mirage”, which introduces the new Fiat 500L tagline, “Unbelievably Big.” Expanding on the efficiency, driving enjoyment and style, which has made the Fiat 500 an icon for more than 5 decades, the all-new 2014 500L expands the Cinquecento’s appeal by providing 42% extra interior space with comfortable seating for 5 passengers and engaging driving dynamics, all wrapped in modern Italian design. Leaving Dodge behind in 2013, the Viper is now part of the SRT brand which stands for Street and Racing Technology. The 2014 Dodge SRT Viper GTS with 640 horsepower will wow the crowd at the Atlanta Motor Show with superior craftsmanship, more performance and power, creature comforts and new technologies. The Chrysler Drive experience provides an entertaining atmosphere and opportunity for anyone looking to feel the plush leather and get behind the wheel of a wide range of Chrysler Group vehicles and drive the local streets of Atlanta. Auto show attendees who register for the ten-minute test drive will get the chance to drive and evaluate the latest models across Jeep, Chrysler, Ram, FIAT and Dodge brands in a no-hassle, no-pressure environment. Atlanta International Auto Show is the biggest annual consumer event held annually at Georgia World Congress Center and is one of the nation’s great auto shows, attracting many of the world’s most significant automakers for its 5-day run. Attractions include the weekend appearances of Marvel Comics’ characters Thor and Captain America, a “Then and Now” exhibit of popular models from the 20th century displayed with their 2014 appearances and reincarnations by professional athletes.